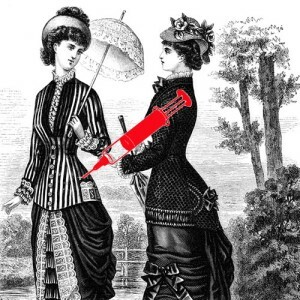 A while back, in fact quite some time ago, say in the late 1800s, doctors didn’t worry too much about sterilizing hypodermic syringes between patients. Diseases were passed from one patient to the other. The woman with tuberculosis was injected with stuff using the same needle that had just been pulled out of someone else’s bum cheek to treat something else. It was a disaster. Lots of people died. And that’s probably why there are so few of them alive today.